Last edited by Mike Scofield on Sat Sep 10, 2016 10:03 am, edited 2 times in total. Have Tommy Gun why this? 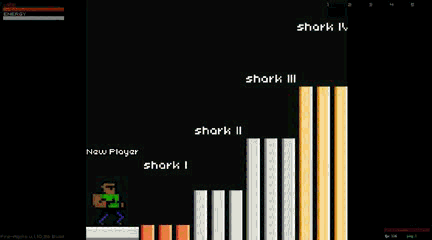 Shark wrote: Have Tommy Gun why this? Omg whats with you people and guns on SFD its official that we have enough guns already. And about your "gun" Its way too overpowered, It has the same rarety as the asoult rifle?! and has more dmg??? This is just a better Assault rifle. Why not make it deal slightly more damage than the assault rifle but be innacurate and have less ammo? mgtr14 wrote: This is just a better Assault rifle. Why not make it deal slightly more damage than the assault rifle but be innacurate and have less ammo? A nice gun for the game, necessary? hmmmhmhm Let's see! it can be compared to the standard Assault_Rifle that for me is an M16, but it would take 4% more damage, and a 2% retreat increased, it would have 2 cartridges with 30 projectiles each, the rarity of it would appear to be the same of MP 50. Shitposting aside, if you're going to ask for a weapon to be added to the game, the LEAST you could do is not just propose a stronger assault rifle. More than that, you could avoid asking for another automatic rifle and instead ask for something unique to spice up the weapon variety in the game. When the normal AR deals 7 damage with 25 ammo and great accuracy, proposing more damage and ammo is asking for a weapon that would overpower the M60, a weapon I regard as possibly the best in the game, if not second best. That's not ok. There are many assault rifle textures out there in sfdmaps.com and other websites, you can just have the assault rifle reskinned to an AK47 instead of suggesting an entirely "new" gun to be added to the game, we already have enough fully-auto weapons, give some love to us texture bois.